Luckily, it can be somewhat easy to hand off the responsibility of mealtime. There are many family-friendly restaurants that can give parents a break from meal planning, cooking and cleanup duty, but some can even double as entertainment for children. 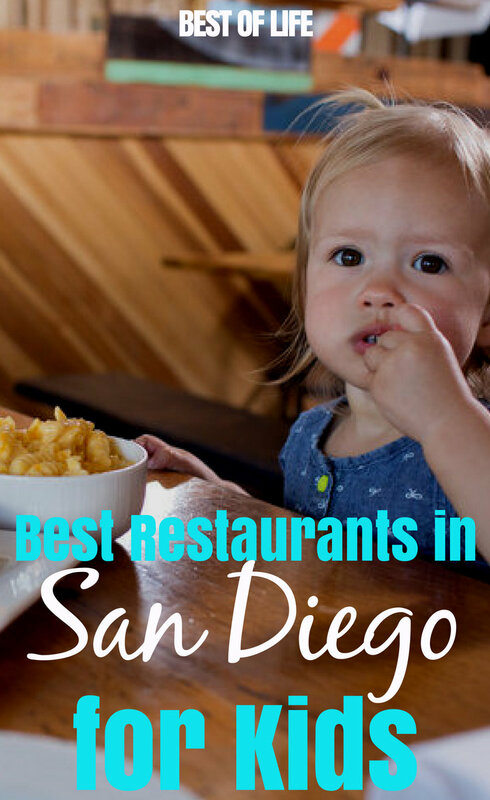 If you have kids and happen to be in “America’s Finest City”, you absolutely must stop and try these five best restaurants in San Diego to go to with kids. 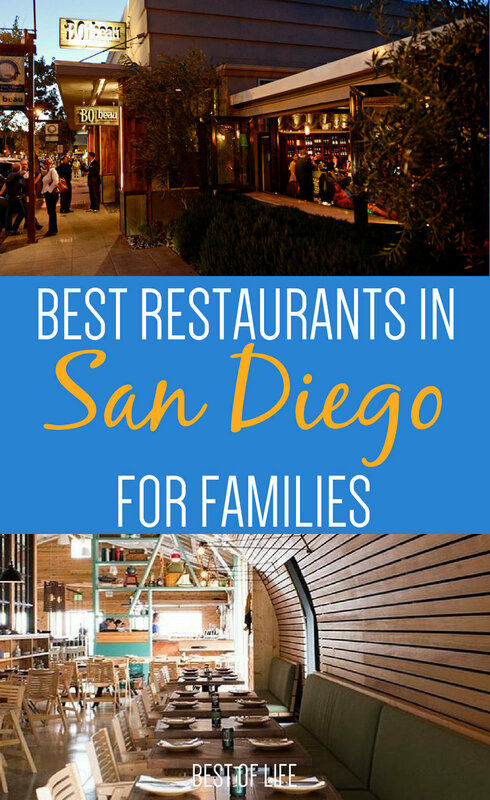 Eating out with kids at the best restaurants in San Diego can be carefree and fun for everyone in the family if you dine at the best restaurants in San Diego to go to with kids. When looking to eat out with kids, there are a few criteria that come to mind. First, the restaurant must be casual and somewhat lively. A chic, quiet restaurant could very likely end in disaster. Second, the restaurant should provide kid-friendly meal options. And third, unless you want to load up all your own toys and coloring books, the restaurant should offer some form of entertainment for the little ones (preferably while the adults indulge in a glass of beer or wine). 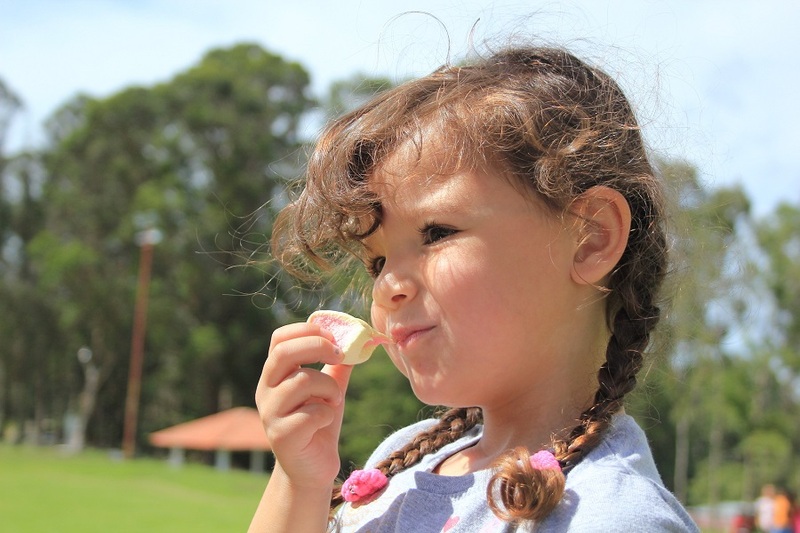 Located in La Mesa, Bo-beau Kitchen Garden is the perfect place to grab a beer while your kids munch on a cheese quesadilla on the outdoor patio. When they’re all done eating, they can run off to the full-size retrofitted school bus, still within their parents’ sight. It’s the perfect chance to enjoy a second drink while they get some energy out. The atmosphere of Campfire restaurant offers a relaxed dining experience that celebrates the origins of cooking and sharing meals together. The kids menu consists of rice, veggies, and a choice of meat, while the adults can choose from more creative campfire takes, like sprouted porridge bread and flounder a la plancha. Children can run around and play in the teepee out on the patio while the adults sip a craft cocktail. If your kids like trains, look no further! While your kids wait for their dinners, they can play in the restaurant’s mini train. 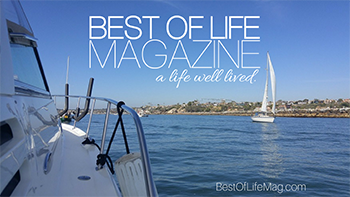 The seating is picnic-style and the menu options are easy and delicious. From the burger selection to craft beers and wine (not to mention a kids menu as approachable as hot dogs and grilled cheese), this restaurant has what you need for a nice evening out with the kids. Viewed as one of San Diego’s best family-friendly restaurant, Waypoint Public offers the best of both worlds: gastropub experience for the grown-ups and an indoor play area for the kids. It’s also open for brunch. If you’re seeking a truly memorable dining experience, Corvette Diner is it. The menu is mostly burgers and sandwiches, while the kids are offered classic options like grilled cheese or even spaghetti and meatballs. A DJ plays music that the servers dance to, and there’s even a magician that will do magic tricks for your table (just be prepared to give a tip, if you want to see a trick). Best of all, there’s an area for kids to play in called the Gamer’s Garage.